As background, a typical D&O policy includes a type of Side A coverage that insures non-indemnifiable Loss. This generally covers a director or officer’s defense costs, expert costs, judgments and settlements where the company (1) cannot advance or indemnify these costs under its bylaws; or (2) is financially unable to indemnify due to bankruptcy or other similar financial conditions. In other words, typical Side A insurance provides coverage where the company doesn’t have the power or the money to indemnify a director or officer. Settlement of a shareholder derivative action or judgments against a director for bad faith are a few examples of this type of claim. A Side A DIC policy provides excess Side A D&O insurance that picks up coverage once a company’s traditional D&O tower is exhausted. A Side A DIC policy drops down to fill in gaps in a company’s D&O tower when any underlying insurer fails or refuses to pay, attempts to rescind coverage, or becomes insolvent. What this means in practical terms is that a company can usually trigger its Side A DIC policy by showing that any underlying insurer in the tower failed to indemnify a Side A claim. This is in addition to triggering coverage for large claims that exhaust a company’s traditional D&O policy limits. This important safety net can help attract and retain qualified board members who desire broader protection that their personal assets will not be put at risk if and when claims are brought against them. But Side A DIC policies also backstop a company’s traditional D&O coverage should any insurer in the tower refuse to indemnify a Side A claim—for example where one insurer in the tower believes a settlement is unreasonable or otherwise refuses to participate. In this situation, the DIC policy must drop down to fill in the coverage gap and the DIC carrier then pursues subrogation against the underlying insurer that refused to indemnify in the first place. 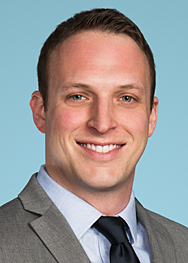 This puts insurers in a tricky position, forcing the Side A DIC carrier to fight for coverage against the underlying insurer, and may provide corporate policyholders with another pressure point in negotiations with a DIC and underlying insurer that do not want to dispute coverage with each other. Any way it works out, the directors and officers are protected. Side A DIC insurance is a very useful, multi-faceted form of coverage that protects directors and officers from liability. 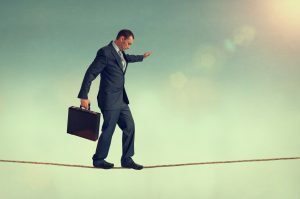 In the high-stakes, high wire act of defending against D&O claims, where any number of circumstances could cause the directors and officers to tumble off without coverage for out-of-pocket defense costs, settlements or judgments, Side A DIC coverage fills in the gaps, saving the directors and officers from falling without a net.